← Petitions to Government – Are they a waste of time? (which apparently helps displaced employees manage the transition from one job to another!) Not that Ritchie needs to find paid employment anytime soon! 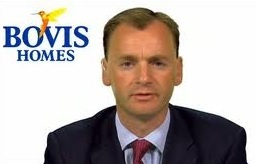 Ritchie, who became Bovis Group chief executive in July 2008, is also in line to reap around £462,850 (52,463 shares) based on Bovis’ current share price (882p) from a long-term incentive plan that vested on 25 February 2016. Ritchie will also benefit from 50,598 shares worth another £446,400 that became exercisable last month, subject to performance conditions being met. He is also be in line for a further 27,256 shares (£240,466) on 19 August 2017 and a maximum of 13,300 shares worth £117,339 from 24 February 2018, again if certain performance conditions are met. The details of Ritchie’s payoff being disclosed on Bovis’ corporate website. It is to be hoped that investors who will be given a vote on Bovis’ remuneration report at its annual meeting in May will voice their displeasure at the payoff although the LTIP was approved by shareholders in 2014. Critics have accused Bovis of paying a ‘reward for failure’. The row over Ritchie’s pay adds to the mounting backlash over excess in the boardroom. Given the circumstances and the amount involved it is to be hoped that Ritchie (47) will do the decent thing and make sizable donations to homeless charities such as Shelter and perhaps donate his time providing accountancy services ‘pro-bono’ for charities. 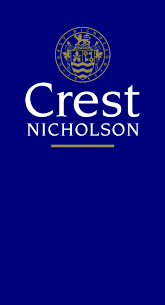 Meanwhile yesterday, 58% of shareholders of house builder Crest Nicholson voted against the company’s remuneration report at the annual general meeting, revolting over executive pay as the company slashed profit targets that determine performance-based bonuses for its directors. Shareholders were vented their anger at a pay policy that will enable chief executive Stephen Stone to more easily receive a £811,737 bonus on top of a basic salary of £541,158. A total of £1.35m which would take a site manager 27 years to earn. Crest’s chief operating officer Patrick Bergin could be on track to trouser an extra £562,500, adding to his £375,000 salary. The company’s remuneration report outlined plans to cut the target for pre-tax profit growth for the second year running, down from 16%-20% a year earlier to 5%-8% for the 2017-2019 period, citing challenging trading conditions. It was set at 18%-22% in 2015. While the vote against the pay proposals was not binding, it indicates growing discontent at executive pay and dissatisfaction among investors. This entry was posted in New Homes and tagged bovis, house builders, quality. Bookmark the permalink.